Petruchio's wooing of Katherine, however, is free of idealism. Petruchio is then ready to marry Katherine, even against her will. Katherine, the shrew of the play's title, certainly acts much changed. For more information, visit Folger.edu. Lucentio's marriage to Bianca is prompted by his idealized love of an apparently ideal woman. Love and marriage are the concerns of Shakespeare's The Taming of the Shrew. In addition to exhibitions open to the public throughout the year, the Folger offers a full calendar of performances and programs. Petruchio takes money from Bianca's suitors to woo her, since Katherine must marry before her sister by her father's decree; he also arranges the dowry with her father. But have she and Petruchio learned to love each other? Or is the marriage based on terror and deception? 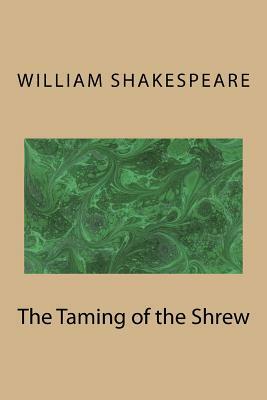 The authoritative edition of The Taming of the Shrew from The Folger Shakespeare Library, the trusted and widely used Shakespeare series for students and general readers, includes: -Freshly edited text based on the best early printed version of the play -Newly revised explanatory notes conveniently placed on pages facing the text of the play -Scene-by-scene plot summaries -A key to the play's famous lines and phrases -An introduction to reading Shakespeare's language -An essay by a leading Shakespeare scholar providing a modern perspective on the play -Fresh images from the Folger Shakespeare Library's vast holdings of rare books -An up-to-date annotated guide to further reading Essay by Karen Newman The Folger Shakespeare Library in Washington, DC, is home to the world's largest collection of Shakespeare's printed works, and a magnet for Shakespeare scholars from around the globe.